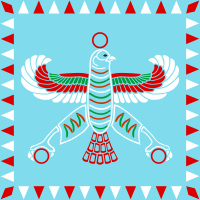 The Twenty-seventh Dynasty of Egypt also known as the First Egyptian Satrapy was effectively a province (satrapy) of the Achaemenid Persian Empire between 525 BCE to 402 BCE. The last pharaoh of the Twenty-Sixth dynasty, Psamtik III, was defeated by Cambyses II of Persia in the battle of Pelusium in the eastern Nile delta in May 525 BCE. Egypt was then joined with Cyprus and Phoenicia in the sixth satrapy of the Achaemenid Empire. Thus began the first period of Persian rule over Egypt (also known as the 27th Dynasty), which ended around 402 BC. After an interval of independence, during which three indigenous dynasties reigned (the 28th, 29th, and 30th dynasty), Artaxerxes III (358 BC) reconquered the Nile valley for a brief second period (343 BC), which is called the thirty-first dynasty of Egypt. 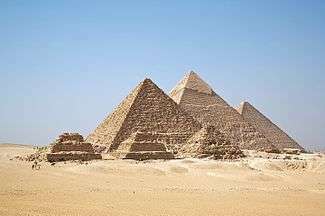 Thirty-first Dynasty of Egypt (343 BCE−332 BCE) — also known as the 2nd Egyptian Satrapy.